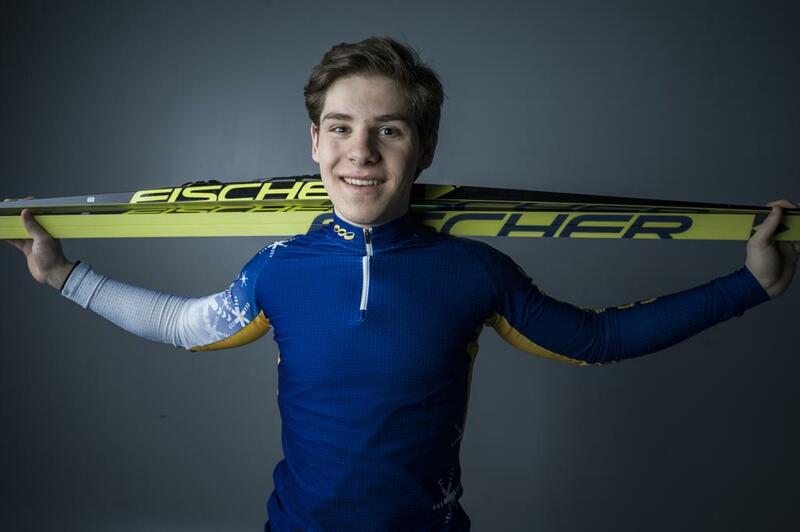 Peter Moore was named the Star Tribune Metro Boys’ Nordic Skier of the Year this season for his performance in the state meet where he overcame snowy conditions at Giants Ridge in Biwabik to take first place after finishing fourth last year. Moore is the first individual nordic state champion from St. Paul Academy, and the first from a St. Paul high school since St. Paul Central’s Ed Kohler won in 1992. He was the only skier from SPA in the state meet. Moore’s love for the sport made him an advocate for growing the Nordic team at his school. He said he recruited over a dozen of his friends to ski on the team, which has doubled in size since he started as a sixth-grader. Moore is one of the few people in Minnesota who participates in velodrome racing, which is bike racing around a large, wooden, bowl-shaped track. He represented the United States in the 2018 Junior Track Cycling World Championships. “In a lot of ways it’s the same as skiing. Everyone knows each other, and everyone is super supportive,” Moore said. Moore plans to ski and study at Bowdoin College in Maine next year.